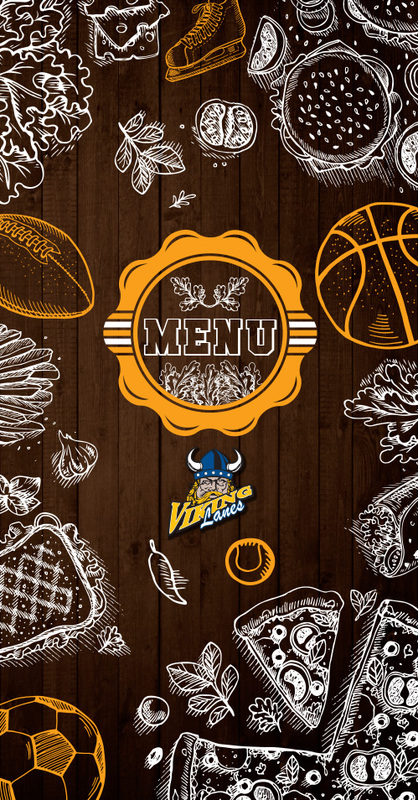 Check out our NEW Menu featuring delicious appetizers, wings, baskets, soups, salads, pizza and burgers. Check out the links to the left for individual items and pricing. Also don't forget about our drink specials. Come enjoy a drink at Viking Lanes with all your friends, family or co-workers. A great place to relax and hang out.